Resource > Video > How to Download YouTube Playlist to MP3? Summary: A YouTube Playlist contains more than one song. Do you want to download the entire playlist to MP3 at one go? Here we will introduce you tools and show you the steps to download an entire YouTube playlist to MP3. A YouTube Playlist contains more than one song. You may be familiar with downloading a single YouTube video as MP3. But what if you have to download an entire YouTube playlist as MP3?Can you even do this? The answer is a big ‘Yes!’, and it is quite possible to download an entire YouTube playlist as MP3. You only need the right tools for this. And in this article we are listing some of the best tools for downlaoding an entire YouTube playlist as MP3. DVDFab YouTube to MP3 converter is a nice tool to download individual YouTube videos as MP3 and entire YouTube playlists. A YouTube playlist contains more than one video. Most YouTube to MP3 downloaders don’t support the playlist and return an error. But DVDFab YouTube to MP3 converter not only recognizes a YouTube playlist but also lets you select and unselect multiple videos. Here’s a quick tutorial to use this free tool. · Download and install DVDFab 10 software from the official website. Please download the 64-bit version if your PC is running a 64-bit Windows 10/8/7/Vista. The 64-bit software run faster and pack more features. · After installing the software open it and click the ‘Utilities’ tab and then click ‘YouTube to MP3’. Let it download and install itself. · Once the program gets installed go to the ‘Utilities’ tab again and launch the ‘YouTube to MP3’ converter. · Open your computer’s web browser and go to YouTube, play your favorite music video and copy its link from the browser’s address bar. · In DVDFab YouTube to MP3 converter click ‘+ Paste URL’. The YouTube video link will be automatically pasted. You can also enable the VIP speed to boost the download speed. · If you want to download a YouTube playlist then copy its link and paste it in DVDFab YouTube to MP3 converter. · On pasting the YouTube playlist link you will see a popup to select the entire playlist. From this playlist you can select which songs to skip and which songs to download. After selecting the songs click the ‘Download’ button. See the image below. · Once the download finishes click the ‘Finished’ button in the top right corner to access all your downloaded songs in one place. Your downloaded songs are by default stored in “C:\Users\Pc-Name\Music” folder. · In the ‘Finished’ tab click the ‘Folder’ icon in front of every music file to locate it. You’ll need a music player like Windows media player, VLC, MPC or Groove music for playing those downloaded YouTube MP3 files. YouTubeByClick is a free program for Windows 10 which downloads YouTube playlists to MP3. Though it runs ads but is completely free and has no limitations on downloads but the downloading speed will be slow in the free version. If you can manage the slow speeds then this software will be good for you. · Download and install the YouTubeByClick software. · Go to YouTube and copy the link of your favorite playlist. · Open the YouTubeByClick software and click ‘Paste URL’. On clicking that button a popup will open. From this popup click ‘Download playlist’. · After clicking that button the ‘Playlist’ popup will open which will show you all videos in the playlist. Uncheck those YouTube videos which you don’t want to download as MP3. From this popup you can select the output folder, subfolder, and song quality. Finally click the ‘Download’ button to start downloading the YouTube playlist. · Once the download finishes go to the output folder and play your MP3 songs. 4K YouTube to MP3 is a shareware software for downloading YouTube playlists to MP3. It currently has a limit which is set to 25 songs. So it will download only 25 songs of any YouTube playlist. Its speed is better than the YouTubeByClick and it has a cleaner interface. So if you like speed and clean UI then you can purchase a license just for $9 dollars. Here is a quick tutorial. · Download and install the 4K YouTube to MP3. · Copy the YouTube playlist link and then open the program. Click ‘Paste Link’. · When you click this button a popup will open. You have to click ‘Download playlist’. · After this all YouTube videos in the playlist (25 in free version) will be added to download list. · To stop any song from downloading right click on it and select ‘Remove’. · Click ‘Preferences’ to select MP3 download quality and output folder. I hope you enjoyed the article and liked the tools for downloading YouTube playlists to MP3. 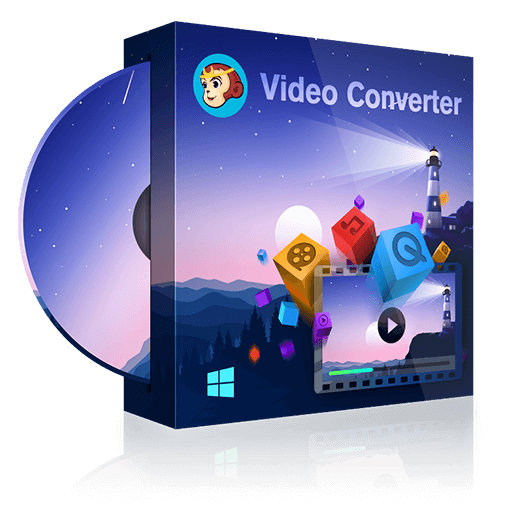 If you are looking for a no compromise easy tool then go with DVDFab YouTube to MP3 converter. However it is not a free YouTube playlist downloader software and the free version has a limit of 5 songs in any playlist. But you can download many individual YouTube videos as MP3 for free. DVDFab YouTube to MP3 converter provides high speed downloads. If you don’t want to pay and can compromise with slow downloading speeds then easily go with YouTubeByClick. You can also try 4K YouTube to MP3 which is cheaper but does’t have much options. Sometimes something can be wrong with your chrome browser not playing videos and we are here to fix this problem for you. Check the solutions for chrome not playing videos. Do you love rap songs? Here our list of 50 best rap songs will help you find the most happening songs of the year. You can also find the tool to download your favorite rap songs from YouTube. If you are looking for a good player for your Samsung smartphone or computer, you are in the right place. Here we will list the top video player software and apps for your Samsung devices.